This being Christmastime, kids nationwide -- what with those visions of sugar plums -- have been eating lots of goodies. And the result, down the road, may be cavities, necessitating use of the latest in dental equipment. But sometimes that equipment breaks down. 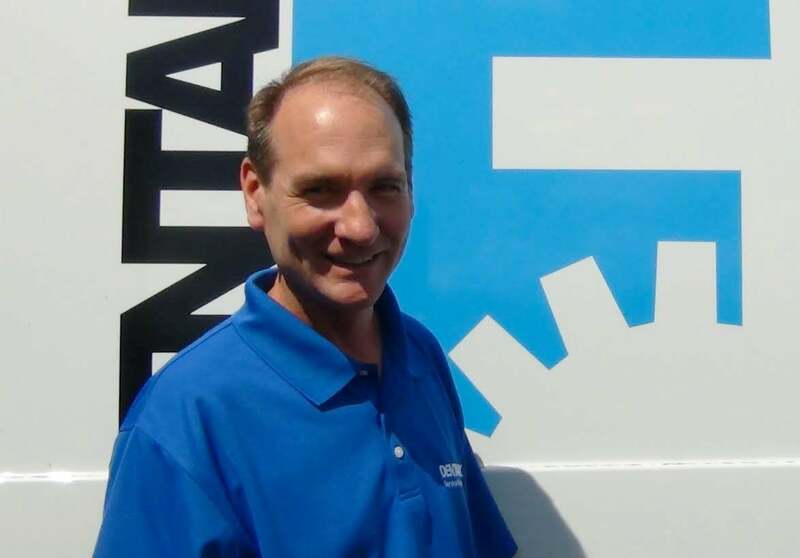 Enter Dental Fix RxX, a franchise chain devoted to fixing dental equipment on-site, using mobile service-center vans. In Utah, where businesses are sometimes far, far apart, franchisee Philip May has been operating a Dental Fix RX outlet for just under a year; and he recently opened his second territory. May transitioned from a career in corporate finance in logistics to franchising after deciding he wanted to grow a business that would be the foundation for a bigger business empire. Along the way, he experienced a personal crisis -- a seriously ill child -- but is happy to report that both she and his business are now doing well. I bought my first territory eight months ago, and purchased my second territory in the last month. I have always wanted to own my own business, not only for the financial rewards, but also to see what I am made of. While working in the corporate world, I became an expert in a narrow function, but as an entrepreneur, I have to master and succeed in many functions in order to be successful. When I began looking at starting up, or buying an existing non-franchised business, the risk of failure and the time it would take to gain success raised a lot of uncertainties. I didn’t want to spend months trying approaches that might or might not work, so I began looking at franchise concepts. I liked that a franchise provides a system and formula, which, when diligently followed, leads to a much more predictable outcome. Dental Fix Rx was the franchise that ticked all the boxes for me and gave me the confidence to jump in and execute that formula. I also appreciated that Dental Fix Rx corporate provides support that I wouldn’t otherwise be able to handle on my own, allowing me to focus on serving the customer. Instead of having to fill positions within my business, all of my marketing, customer service, appointment setting, technical support needs and vendor relationships are handled in-house and at a level of excellence I can rely on. I worked in corporate finance as a division CFO. I enjoyed leading growth strategy and building a great team around me, but as I rose through the ranks, I found myself more and more removed from the product provided to the customer. By becoming a business owner, I have become intimately connected to how we provide service to our customers, because feedback comes directly to me. I see how valuable establishing a work culture and managing our services are to myself and my team. The singular focus on serving the customer is very rewarding and a refreshing transition away from the complexity and rigidity of leading in a large organization. In addition to being a unique franchise concept, I discovered many positive aspects personally and financially, which helped Dental Fix Rx rise to the top for me. On the business side, revenue and gross margin potential can be reached with minimal investment. Another advantage is that the business fills a distinct niche, with relatively high barriers to entry. Dental Fix provides a service that is not a focus for our main competitors, so I find many dentists are willing to give our services a try. For me personally, I enjoy working with my hands and the challenge of figuring out why mechanical things don’t work. I like knowing exactly who my customers and potential customers are. This allows for targeted marketing that is then supported by the long-term relationships I develop with my core customers. I also enjoy the hours -- although Monday through Thursday are very full days, I have a lot of flexibility on Fridays and rarely get a call for service on weekends. It’s a rare business that allows you to maintain a healthy work-life balance. My breakdown was: franchise fee and training, $45,000; van, inventory and buildout, $87,000; other start-up costs, $5,000; and working capital for the first year of operations, $50,000. The total was about $187,000. Dental Fix was very helpful in answering my questions and encouraged me to call existing franchise owners to learn about their experience. Attending Discovery Day clinched the deal for me. As part of Discovery Day, I rode along with an experienced franchise owner and saw first-hand how the system worked, and what the work of repairing and servicing dental equipment entailed. After reviewing the training and support provided to franchisees, I felt confident that I would enjoy the work and be able to grow my business successfully. David Lopez, founder of Dental Fix Rx, correctly told me that after seeing what the work was like, I would know whether it was right for me or not. Finding time to leave my family for a month of training. When getting ready to start this venture, I had a child struggling with serious health issues. Scheduling training with the uncertainty of her recovery was scary, but in the end it worked out great and I’m happy to report that she is doing well. To be successful in any job, you have to have some level of passion for the work. Be honest with yourself and make sure that the franchise you choose is going to be filled mostly with tasks that you enjoy doing regardless of the money. If you don’t like leading staff, don’t chose a franchise with lots of employees. If you hate selling, find a franchise where this is a minimal part of the work. As part of your research, talk to people already in the business and ask them the hard questions about what they like and don’t like and their experience working with the franchisor. Asking specific questions will help you formulate a realistic projection of the business and the road to profitability. Finally, be realistic about what the franchise needs to produce financially for you to be happy. A business full of tasks that turn you off will leave you dissatisfied with your business; not being able to reach your financial needs will also make you dissatisfied no matter how much you enjoy the work. In the past month, I bought a second van, hired a service technician and bought the next territory! In the next three to five years, I want to have four territories and employ six technicians servicing the state of Utah. I really enjoy building a team and I’m excited to build a successful business with an unparalleled reputation for excellent service.